From the trickle device to digitally controlled XXLshowering pleasure: Since 1901, inventions from the Black Forest think tank have been shaping the bathroom landscape all around the globe. Lots of products, concepts and solutions developed and designed at Hansgrohe have provided incentives for the international sanitation sector. Some made bathroom history, maybe even cultural history. 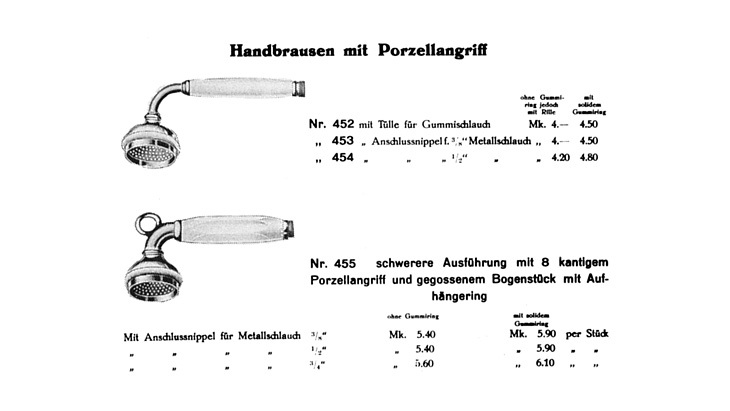 Such a long and successful history obligates and motivates Hansgrohe to stay ahead of its time. Hansgrohe SE can look back on a rich culture of innovation. The bathroom professionals achieve around a third of their total turnover with new products. Development times and innovation cycles are becoming ever quicker: these days it only takes twelve to eighteen months from the first idea to the finished product.